Computer Literacy is taking a new look at SQI Academy. Computer literacy is now Digital Literacy. Computer literacy, popularly known as Desktop publishing, is no longer relevant and officially acceptable. Literacy has gone beyond just computing but everything DIGITAL. SQI Academy makes it easy for you to begin you Digital literacy journey through our annual scholarship. 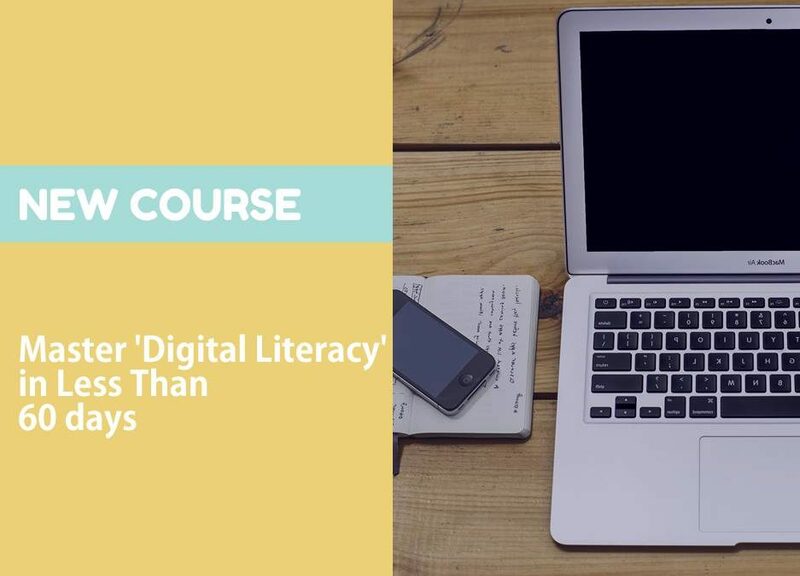 You can get up to 70% discount on our Digital literacy course — or any course — by simply registering here and taking the scholarship examination. Your discount will be based on your result after the test; for example, if you score 40%, you get a 40% discount, and so on. Computing has become a very integral part of everyday life in the twenty-first century. From music and photos to banking and communicating, computers have changed the way we work and live. This course introduces you to the fundamentals of computing, explains the components of a computer, explores operating system basics, and shows you how to use a mouse and keyboard. It also explains how computers can be used in different aspects of our lives. This module helps you to identify the various threats to your computer and the data stored in it. You will explore how to protect your computer from these threats by taking some preventive measures. Finally, this course explains the ethical and legal issues related to internet usage. Like any other electronic device, your computer is at risk from damages caused by accidents or by intention. Some of these damages can be permanent. You can prevent your computer hardware, software, and the data stored on it from a number of damages by taking preventive measures. Productivity programs are tools that you can use to create documents, presentations, tables, charts, and graphs. This module explores the most common applications used in business, education, and at home. In the course, you will learn the features of various productivity programs such as word processing software, spreadsheets, and databases. You will also learn how to select the right software to cater to your needs. Productivity programs are used in business for schedules, resumes, business plans, and more. These programs are widely known and used on a daily basis. In school, students use these applications to write essays, create presentations, and organize their schedule. Colleges and universities have started demanding a typed final essay for a grade; forming these applications into a vital part of education. Others may use the applications at home for other tasks, making these applications a universal tool. From cell phones to MP3 players to digital cameras, computers are changing our everyday life. This course introduces you to digital technologies, including digital audio, digital video, and digital photography. It explores how these and other computing technologies are creating new career opportunities and shaping the world we live in. With the advent of internet, the face of communication has changed drastically. Now you can send email messages with music and pictures to people who may be located anywhere in the world. These messages can reach them in just a few seconds. However, to send and receive email messages, you need to create an internet email account. This module explains the benefit of an email account and demonstrates how to create an internet email account online. Companies, individuals and institutions are using the internet in many ways. Companies us the internet for electronic commerce, also called e-commerce, including advertising, selling, buying, distributing products, and providing customer service. In addition, individuals, businesses and institutions use the internet for messaging, voice and video conferencing and other forms of communication that enables people to telecommute(work away from the office using any internet enabled device). Whether you are new to computing or have some experience, Digital Literacy will help you develop a fundamental understanding of computers.